Originally called “No Prep Time”, Has Lo's treatment, entitled”Live Action”, indicates the reworking of Gasface was a worthy idea. The execution, particularly the two artists willingness to collaborate on the remix project, injects “No Prep Time” with a new spirit. It's in Castle's delivery; he's still got a sour disposition for the critics, mincing no words with Uncle Sam, and livelier in expressing an admiration for Twitter hoes. 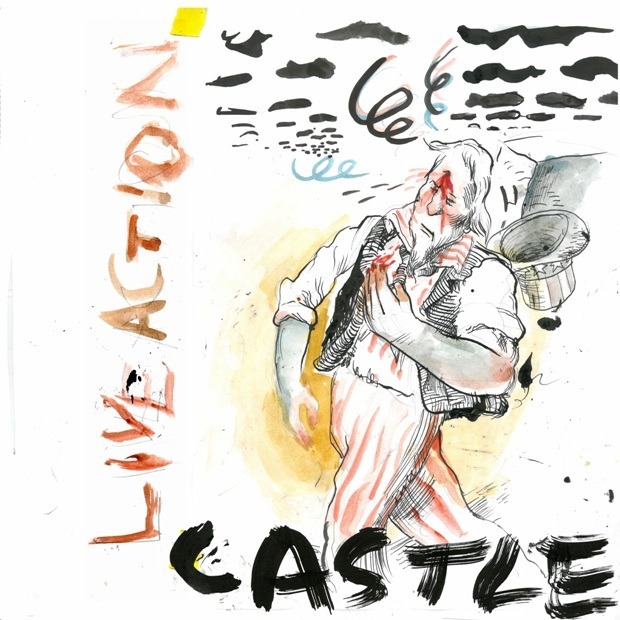 As part of the reworked release, artist Josh Bayer designed an entire booklet of original pieces to go along with each single for Castle's album (See above). Castle's Return of the Gasface (The Has Lo Passages) is out March 18 on Mello Music Group.